EK Evolves: Are PDEK and Hybrid DMEK on the Horizon? Advances in endothelial keratoplasty are giving patients with corneal endothelial dysfunction ever-more novel treatment options even though Descemet stripping automated endothelial keratoplasty (DSAEK) and Descemet membrane endothelial keratoplasty (DMEK) are the mainstays. “The field of endothelial keratoplasty is a dynamic one; it has been revolutionized in the last 20 years, and we are continuing to refine our surgical approaches,” said Kathryn A. Colby, MD, PhD, at the University of Chicago. Read the entire article from the August 2018 publication of EyeNet. (WINSTON-SALEM, N.C.) — Miracles In Sight (MIS), a nonprofit eye bank that recovers, processes and distributes ocular tissue, recently supported an effort led by UNC Eye to train ophthalmologists in Vietnam. MIS provided all the corneal tissues for the trip, resulting in 16 Vietnamese patients receiving the gift of sight. “The surgeons at the Vietnam National Institute of Ophthalmology (VNIO) were very appreciative of the donation,” said UNC Eye M.D. Kenneth Cohen who organized the trip. 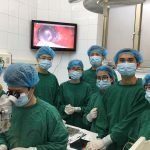 Miracles In Sight provided corneal tissues to support a training mission led by UNC Eye MD Kenneth Cohen with surgeons from the Vietnam National Institute of Ophthalmology in Hanoi. The donation by MIS resulted in 16 Vietnamese patients receiving the gift of sight. 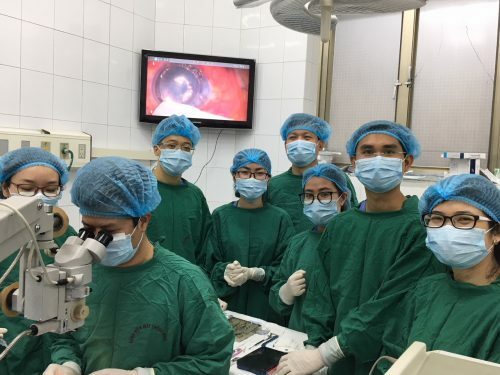 Training with VNIO surgeons in Hanoi took place in March and focused on corneal transplant and cataract surgeries. UNC Eye Residents Kyle Huynh, M.D. and Lee Moore, M.D. traveled with Dr. Cohen to Vietnam to support the effort. MIS provided all the corneal tissues for the trip including DSEK tissues and full-thickness PKP grafts. The donation was a natural extension of the eye bank’s mission to restore sight. “It is a rewarding experience to be involved in making someone’s life better,” said Dee Hatcher who manages client education and marketing for MIS. She managed logistics and coordinated with various vendors to ensure all tissues, devices and equipment arrived in Vietnam. For Huynh who was born in Bien Hoa, Vietnam and came to the United States at age four, the trip offered him the unique opportunity to practice ophthalmology in another country and experience the culture. 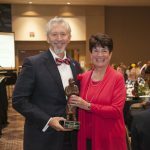 (WINSTON-SALEM, N.C.) — Miracles In Sight (MIS), a nonprofit eye bank that recovers, processes and distributes ocular tissue, was honored for its continued partnership and support of IFB Solutions’ mission with the 2018 Commodore Funderburk Visionary Award. For many years, Miracles In Sight has been a strong supporter of IFB’s community outreach initiatives. Miracles In Sight President and CEO Dean Vavra accepted the award. Vavra has served on IFB’s board of directors since 2013 and was instrumental in connecting MIS with IFB to advance both organizations’ missions. Miracles In Sight partnered with IFB in 2013 to create the Eye Care and Education Center and supported the launch of a mobile vision center with a nearly $1 million donation. It has advanced the mission of IFB’s SEE After School Program with the purchase of buses to transport blind or visually impaired children and teens to Tracy’s Little Red School House where they receive essential life and social skills. Miracles In Sight also partners with IFB at the Durham Community Low Vision Center. The Commodore Funderburk Visionary Award is named after Commodore Funderburk who joined IFB Solutions as a mattress-maker in 1963. He could not hear, see or speak. In 41 years of working at IFB, he never missed a day of work. 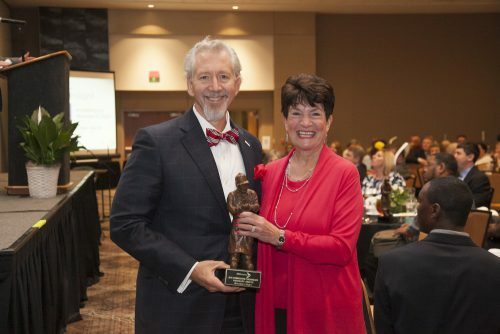 MIS was presented with the award during IFB Solutions annual banquet in April. IFB Solutions is a nonprofit corporation that provides employment, training and services for people who are blind or visually impaired. In 2000, IFB began producing eyeglasses for the Department of Veterans Affairs, a customer partnership that remains today with IFB supplying eyeglasses to nearly 40 VA locations in the United States. As the largest employer of people who are blind or visually impaired in the United States, IFB operates the optical lab and a large-scale manufacturing facility in Winston-Salem, N.C., along with manufacturing facilities in Asheville, N.C., and Little Rock, Ark. Through its operations and community support, IFB Solutions funds programs for adults and children who are blind or visually impaired. For more information, visit http://www.ifbsolutions.org/. At Miracles In Sight, a nonprofit eye bank that recovers, processes, and distributes ocular tissue, our goal is to bring vision and hope to the world. We recover tissue from about 6,000 eyes each year, about 70% of which are transplanted. The tissue that doesn’t meet quality standards is used for surgical training or research at academic institutions. Our tissue preparation services cover all types of cornea surgery. What’s more, because the supply of corneal tissue in the United States exceeds demand, we distribute tissue internationally and continually find new ways to help the blind. 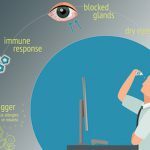 Future innovations revolve around the three core components of health care’s so-called iron triangle: cost, quality, and access. As we continue to develop our service offerings around these ideals, several fertile areas for innovation have emerged. Miracles In Sight responds to notifications by the central organ procurement organization that someone has died and may be a candidate for donation. We discuss this option with families during a very difficult time in their lives, just hours after they have lost a loved one. Often, the death is unexpected and the donor may be relatively young. Ultimately, we want to gain consent and move forward with recovery, but we know firsthand that the decision to donate — while every generous and profound — is also extremely difficult, especially when it’s made at such a painful time. Our goal as an organization is to continually strengthen our bonds with donors and families, recognizing their enormous generosity and, ultimately, helping them derive some meaning from a devastating loss. We let families know that thanks to their generosity, a blind person may regain his or her vision in a few days. Donor families are sent a thank you letter and a blanket as a token of appreciation. Through community outreach, we strive to educate our local population about the benefits of donation with the goal of generating an open discussion. We encourage people to talk to their families about their desire to donate, so that if their family members are faced with an unexpected tragedy, they’re prepared to make the decision based on knowledge of their loved one’s wishes. 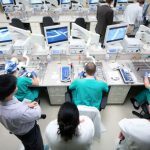 This informed decision allows us to recover tissue more quickly, which can lead to better surgical outcomes. Read the entire article in The Ophthalmic ASC’s February 2018 Edition.